Find the product for which you need the corresponding technical document, using either the search field (above), or by browsing through the product categories. Navigate to that product's "Detail Page". The technical documents are listed in a tabbed box beneath the product photo. Only the documents that are available will be displayed. If you don't see the document you are looking for, it may not be available. 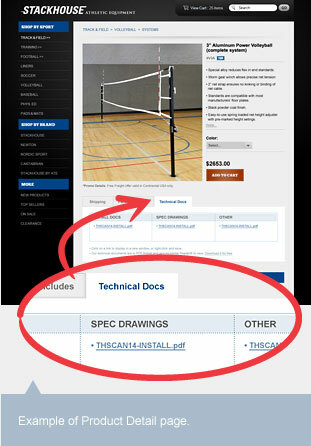 Have questions about any of Stackhouse's technical drawings? Give us a call at (800) 285-3604, or visit our Contact Us page.